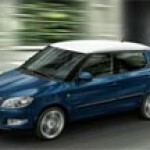 For Skoda Roomster elegance of lines of non-standard design of a body and interior is characteristic. Roomster is dynamic, emotional, active and sports at the same time. Roomster is a car with design, new to Skoda, it changes your vision of the world and brings you and your family a true pleasure from travel. This car is dynamic, emotional and sports at the same time. Everything in this car is excellent: from sports bright appearance to a panoramic windshield, practical spacious back part and wide lateral windows. The model became the finalist of the prestigious European competition "Car of Year 2007" following the results of vote in which more than thirty cars of different brands were estimated. The novelty from Skoda Auto subdued experts the technical characteristics, design and functionality. Roomster is a car for everyday life, but it is distinguished from others and has special character. His mask and original design of headlights, a panoramic windshield, lobbies and back doors, a big awning and back headlights - all this draws attention. At once it is possible to find also other tremendous features. For example, fog lights with the Corner function (option) and headlights with active rotary system. Of course, will surprise you when headlights light up at angular turn. Vertical configuration of back headlights helps to increase the level of visibility of the car and therefore increases the level of safety of the driver and passengers. Back headlights are also an important element of design of the Skoda brand. In night conditions the signal of "C" brightly shines between them. Space, variability, practicality, friendly atmosphere. All this and many other things you will be able to find both in "cabin" at wheels, and in "inhabited space" behind. Comfort, big space for storage, the system of adjustment of a seat of Varioflex, a panoramic awning, the modular dashboard and big space for storage of baggage will make Roomster your constant satellite on working trips and travel. Thanks to Varioflex system, Roomster have no problems at execution of your desires. Thanks to the regulated, moved, taken away and removed back seats and armrests, you have more than 20 options of the organization of an interior and space of a luggage carrier. Settle more conveniently. Besides an absolute practicality and reliability, Roomster offers a maximum level of comfort and confidence. Here you can have a rest and relax … therefore with Roomster you will always be in the appointed place with a smile upon the face. Roomster offers comfort for everyone. "The driver's zone" is executed in such a way that all necessary can be got easily in it. Besides, behind there is spacious and cozy "residential zone" for passengers. For ensuring convenience in way in both "zones" to Roomster the set of elements of the capital and additional equipment works. The practical space of storage, pockets, boxes and holders are available to small things, documents, points, cards and drinks up to 4 l in a zone of the driver and behind, in also in practical door pockets. The semi-automatic or automatic air conditioning system can provide ideal temperature in salon. The standard advantage is environmental friendliness of the car – lack of freon, optimum amount of cooling liquid and a minimum of the polluting substances. Your car is suitable not only for purchases and transportation of baggage - it is your most close and expensive satellite and therefore our designers chose safety as a priority. Besides a lobby and lateral safety cushions for the driver and the passenger, Roomster possesses other important elements of safety, including modern electronic systems, and also lobbies and fog lights. Modern electronic systems also ensure safety in way. Depending on the chosen version, Roomster is equipped with ABS, MSR and Dual Rate system, and also in addition - ASR. The system of electronic stabilization of ESP provides confidence at turns in any situations. The car also includes other specified systems. illumination of a luggage compartment.